For January we did a little unit on snow and ice – even though it only really froze for two nights this month. We made observations on ice: Everyone picked their container and amount of water then we put them in the freezer and checked periodically to see whose froze the fastest. Eden won with a shallow layer of water in a plate. Making foam snow at our co-op. 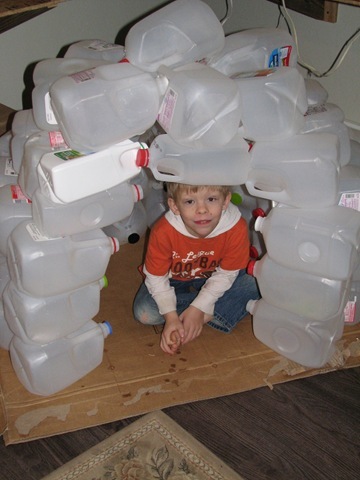 We collected milk jugs (from other people) to build an igloo! 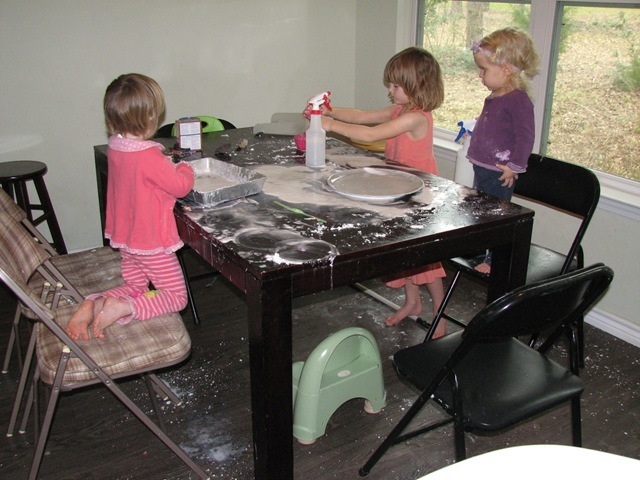 Lance and Ivy enjoyed the chance to use a glue gun. 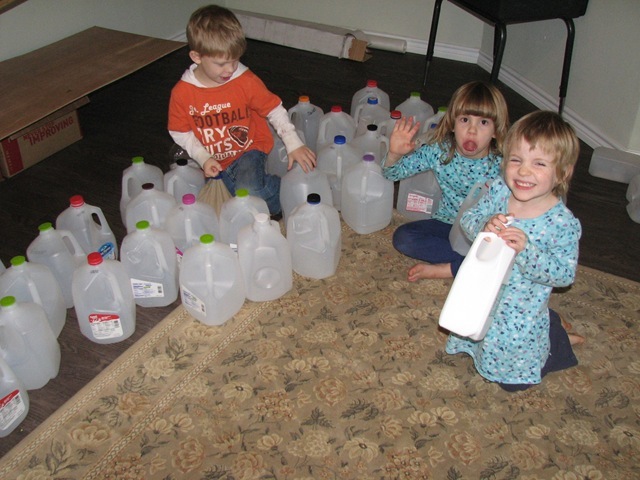 Mostly finished – we used every milk jug we had! 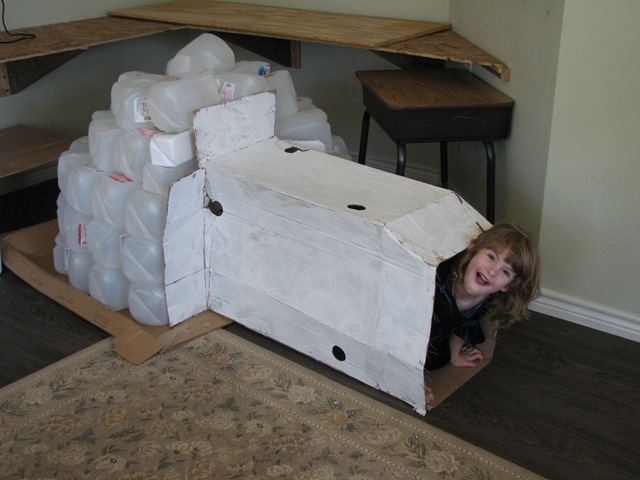 Since we were out of jugs, Lance and Ivy painted a box to be our igloo tunnel. This house turned out very sturdy and has lasted two weeks so far, taking up a nice amount of space in the school room. We made play snow from baking soda and shaving cream. It doesn’t pack super well but we managed to make snow men. 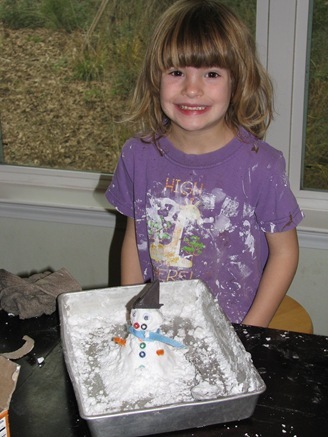 Flora played “Katy the Snowplow” with her snow. 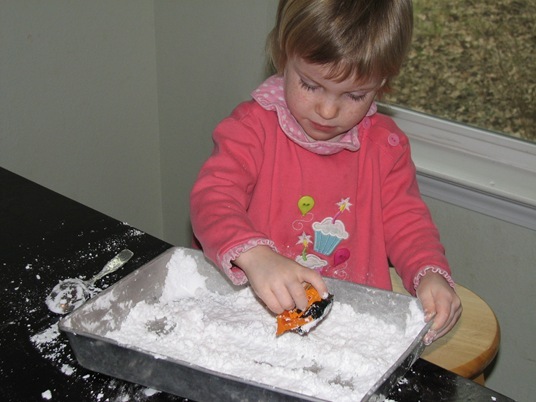 Since this snow is made with baking soda it makes for quite a meltdown. Lance enjoys a spray bottle full of vinegar. Melting snow makes for an epic mess – even in Texas! Had to mop twice after this, but wow did they have a good time! 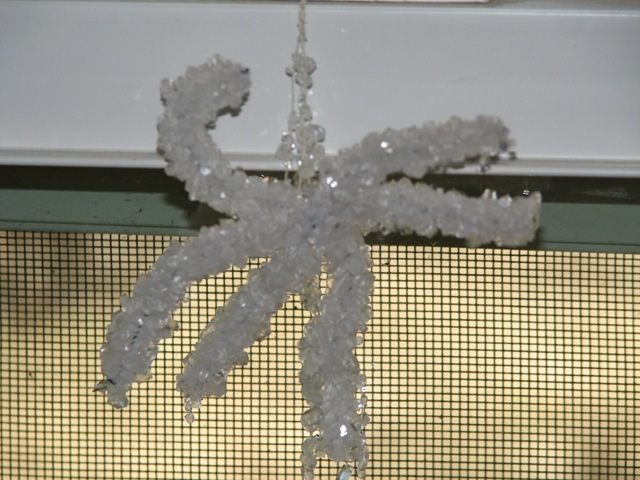 And finally, we made crystal snowflakes by putting pipe cleaners in a borax solution over night. 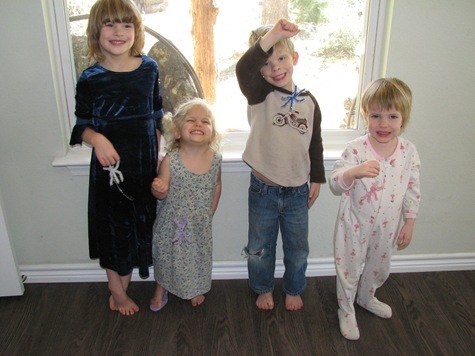 The kids were quite thrilled with the result. 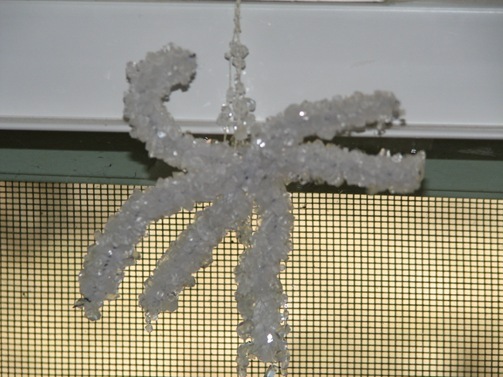 Good thing they don’t remember rock candy because this looks good enough to eat! Maybe we’ll try again with a sugar solution. Along with our projects we read library books about snow and igloos. Grammy also supplemented with northern lights on youtube, Balto and sled dogs, Alaska pictures, splatter paint snow and more book reading. We’ve definitely enjoyed piggy-backing on your unit! Some great ideas. And do make some rock candy. That was one of my childhood memories. I have a GREAT idea for a field trip… come and see us! We are getting snow this Saturday! Great ideas and your kids will remember this forever.